My mornings always start with a cup of coffee. Can you relate? Even if my house is a bit chaotic, with hungry kids running around and places to be on a tight schedule, I manage to enjoy at least one cup of coffee before I start my day. I am a proponent of keeping life simple in areas that I can control. I try to simplify my schedule, my possessions, and my food just to name a few. Life seems to be more enjoyable when it’s simplified. I applied this way of thinking to my morning coffee routine recently, which desperately needed to be simplified, and came up with a simple coffee station to help me start my mornings off right. My coffee station needed to have everything I use to create the perfect cup of coffee at my fingertips, and I didn’t want to spend a lot of money to pull it together. I started by laying out all my coffee essentials. 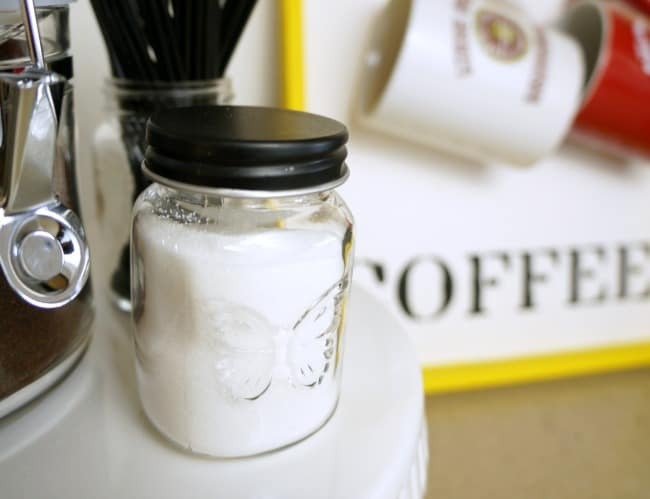 These are my essentials, but I also chose to incorporate sugar and stir sticks for my husband and guests. 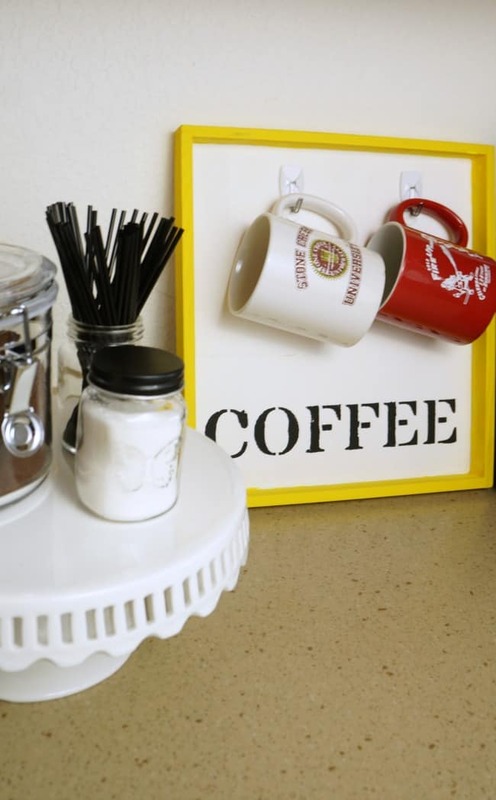 Once I knew what I needed at my fingertips I got to work on this simple and inexpensive coffee station. I found a balsa wood (lightweight) toy container that was headed for the trash. It happened to be large enough to hold 2 of my favorite mugs. 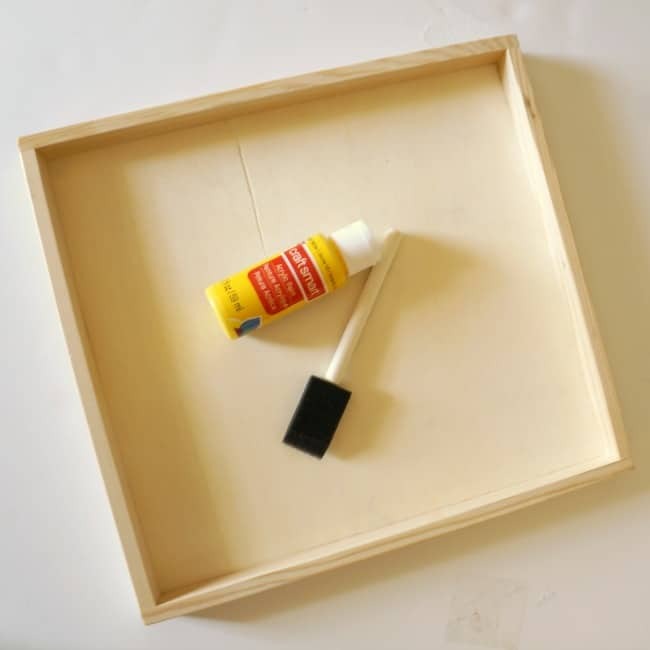 A wood tray like this can also be purchased at a craft store for a few dollars. I painted it white and yellow using craft paint and a sponge brush. Once the paint was dry I added two adhesive hooks to hold my mugs. 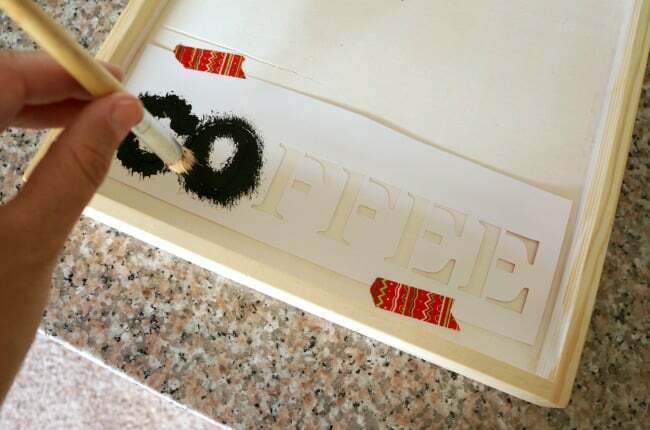 Then I stenciled Coffee on the bottom half of the tray in black. 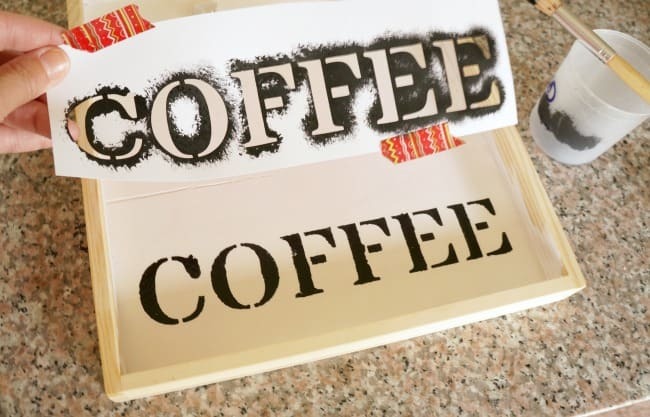 I made a stencil using my Silhouette but you can pick up basic alphabet stencils for a few dollars at a craft store, or even free hand a few words! 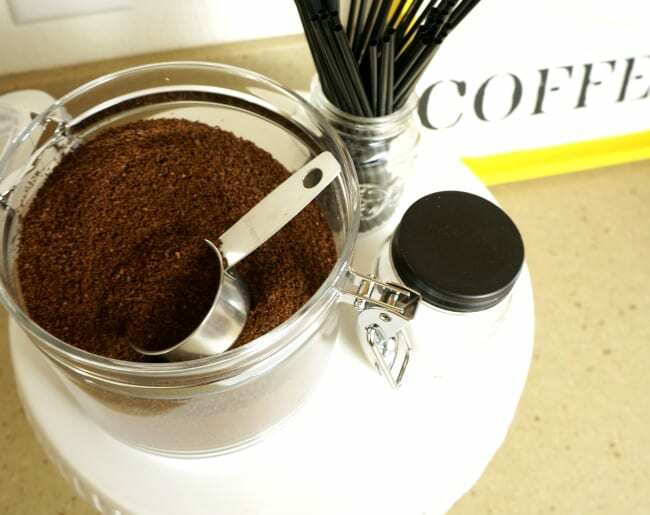 To pull together this simple coffee station I grabbed a white cake stand and added coffee grounds, sugar and stir sticks in simple clear containers. I love how simple this coffee station is. Everything I need is at my fingertips when I wake up in the morning. I brew a pot of coffee while making breakfast for my kids then top my cup with a simple and delicious creamer from my fridge. As much as I strive for simplicity in my home, I also appreciate simplicity in my food. 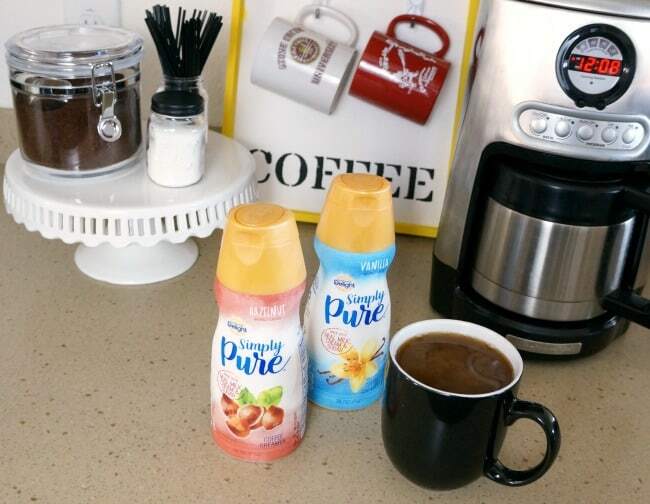 International Delight Simply Pure Coffee Creamer is the perfect addition to my morning cup of coffee. I add just a small amount and get the full flavor of Vanilla Hazelnut or Caramel. 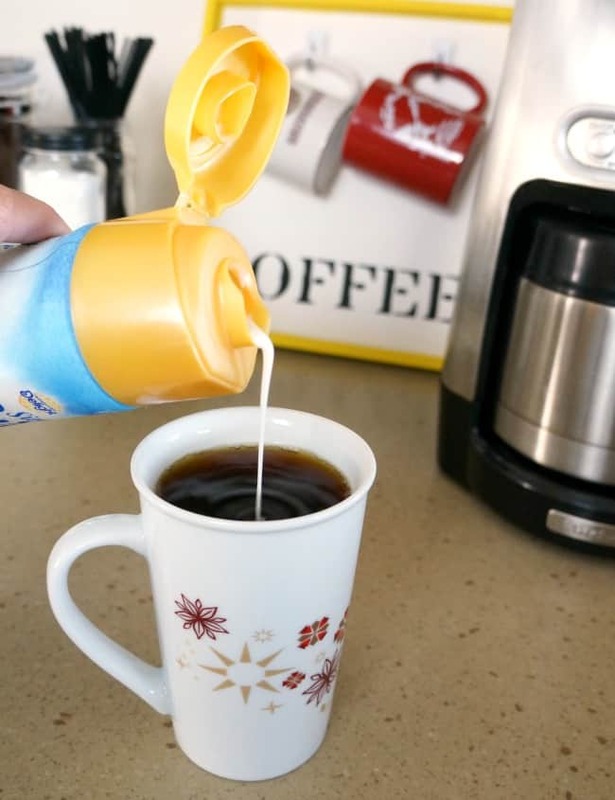 International Delight Simply Pure Creamer is made with only 5 simple ingredients including real milk cream and sugar, something I can feel good about drinking. 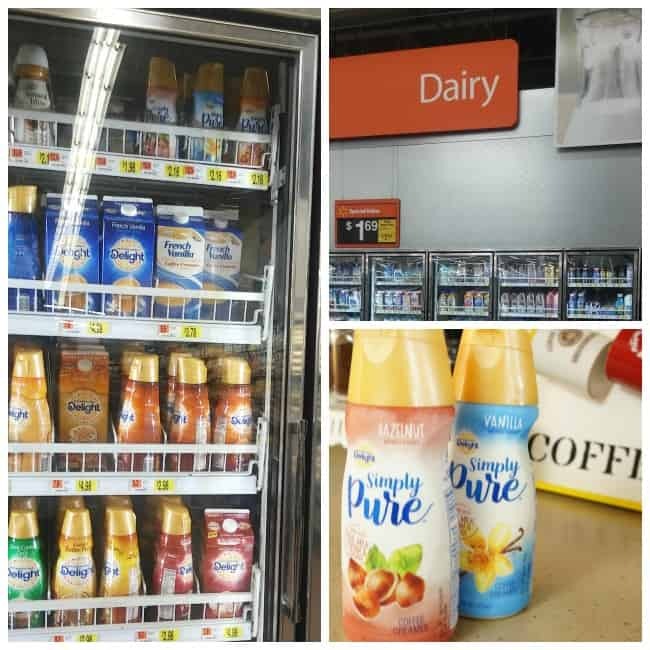 I picked up my Simply Pure Coffee Creamer in the dairy section at Walmart, along with my containers and hooks for the coffee station. 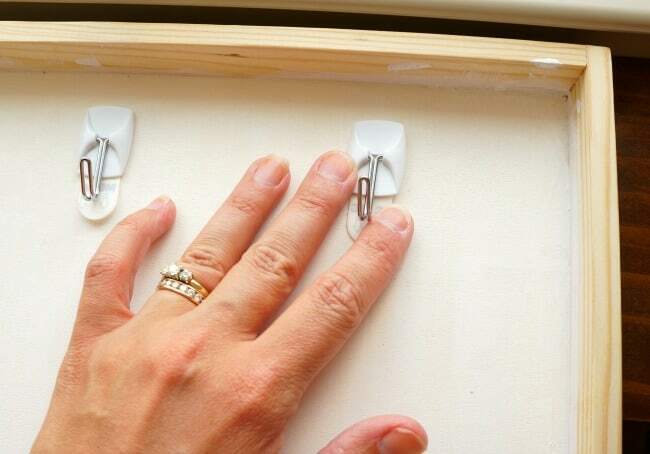 Picking up everything I need for a project in one place is another easy way to simplify. My coffee station has served me well this week. It has simplified my mornings by helping me get to my first cup of coffee simply and quickly. Even my husband is enjoying the simplicity of it, and the new creamer too. Check out all the creative ways to simplify your morning routine here and tell me, how have you simplified your mornings? What a sweet coffee station to wake up to every day!